Background: Hypoglycaemia related to exercise and lack of confidence to exercise is often a challenge in type 1 diabetes. Aim: An online exercise tool (ExT1D) was tested to determine whether hypoglycemia related to exercise can be attenuated, with improved confidence to undertake exercise. Method: Adults with T1DM (n=32) exercising ≥60min/week enrolled in a randomised controlled trial with partial cross-over of the Control into Intervention. Exercise-related hypoglycemia (ErH) was pre-defined as continuous glucose monitoring readings <4.0 mM within 24 hours of exercise. Questionnaires including 2 fear of hypoglycaemia scales: HFS-II-Worry and FH-15, and confidence (Stanford), were completed at baseline and post Intervention. Results: Baseline characteristics were: 50%M, age 35.8±9.5 years (mean±SD), diabetes duration 12.3±9.9 years, BMI 24.2±2.6 kg/m², median HbA1c 7.1%(ICR 6.4-7.7) and fructosamine 347μM(297- 438). The RCT showed a 50% reduction (NS) in median (ErH) number and similar reduction in (ErH) duration in Intervention vs Controls (Table). Compared with their own baseline, significant longitudinal reductions in (ErH) number (by 43%, p=0.044) and in total duration (by 71%, p=0.015) were observed, plus improved self-reported confidence to prevent blood glucose lowering with exercise p=0.039 (Stanford). In post-hoc analysis, n=15 participants with the highest (ErH) number at baseline achieved significant reductions in (ErH) number (by 57% p=0.001), in duration (by 86% p=0.002), and in duration per episode (by 53% p<0.001). This group showed reductions in self-reported fear of hypoglycaemia p=0.041 (FH-15) and in hypoglycaemia interfering with leisure activity p=0.019 (FH-15). Conversely fructosamine and HbA1c levels were unchanged from baseline (not shown). Conclusion: This study shows ExT1D can especially improve exercise-related hypoglycemia and thus aid adults with type 1 diabetes to exercise more safely and with greater confidence. 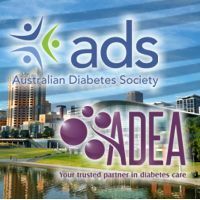 Acknowledgements: Supported by JDRF Australia, EDRF of the University of Sydney, and Entoure; L.A. Gonder-Frederick and M.T. Anarte permitted use of respective questionnaires: HFS-II and FH-15.